South Korean brokerage firms, on the buying spree of US and European real estate, will roll out public real estate funds in the coming months to sell down their equity interest in offshore properties, signaling a growing presence of individual investors in the country’s offshore fund market as institutional buyers turned cautious. With eased regulations on public investment funds and plenty of market liquidity, real estate funds targeting individual investors appear to be a new growth engine for the country’s asset management industry, fitting in demand for better-yielding alternative assets from the aging population. They offer 4~5% returns a year to investors who also expect currency gains from offshore funds, as the Korean won has weakened against the US dollar and the euro. 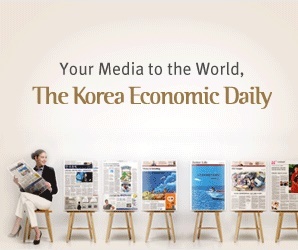 Korea Investment & Securities Co. Ltd. is planning to raise 200 billion won ($170 million) through a domestic public fund next month for resale of its equity stake in the NASA head office building in Washington D.C., according to investment banking sources on Jan. 12. The fund launch will come shortly after a consortium of Korea Investment and Hana Asset Management Co. Ltd. agreed to buy the building for about 400 billion won. Meritz Securities Co. Ltd., which acquired several overseas property assets last year, also will launch a public fund in 2017 for an unspecified real estate asset in Europe which the brokerage company is preparing to buy within the first three months of this year. The fund, if introduced, will be the first offshore property fund backed by European real estate for retail investors in South Korea. In September 2016, Mirae Asset Global Investments Co. Ltd., the country’s leading mutual fund manager, had raised the planned 300 billion won in a public property fund. The fund, targeting a 4~6% annual return, was launched to finance part of Mirae Asset’s 950 billion won acquisition of State Farm Insurance’s four-building office complex in Texas. It was the country’s first public real estate fund raised for an offshore real estate purchase. But market observers warn that asset managers’ shift toward individual investors, notwithstanding higher costs in raising and managing retail funds, reflect a cautious mood among institutional investors, some of whom have held off overseas investment decisions amid the prospect of US rate hikes and after US office building prices surged. Public funds require more time and procedures than private funds, entailing higher costs. Public investment funds, in particular, offshore funds, are less developed than private equity funds in South Korea because of high fees and a lack of information on those funds. In 2016, South Korean regulators loosened rules aimed at reinvigorating public investment funds, including lowering the minimum investment amount and allowing more flexibility in setting fees for fund management companies. Meanwhile, a broader measure of money in circulation showed that market liquidity soared to a record in South Korea. M2, which includes cash, demand and savings deposit and money market funds, topped 2,400 trillion won ($2 trillion) in November, according to the Bank of Korea’s data released on Jan. 12.